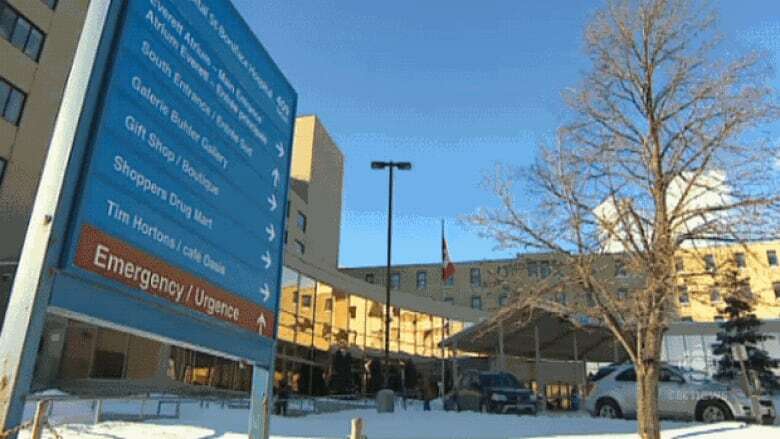 The organization governing Winnipeg's St. Boniface Hospital has appointed 10 new members to overturn a policy on medically assisted dying, leading the board chair to resign in protest. 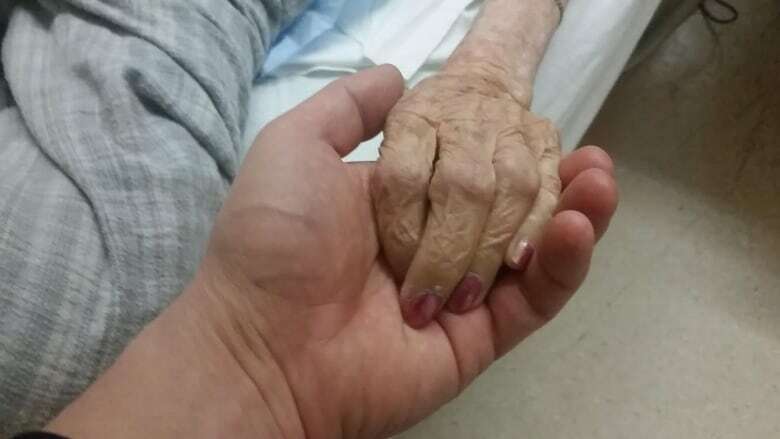 On May 29, the St. Boniface Hospital board of directors narrowly approved a new policy that would allow medical assistance in dying (MAID) at the faith-based hospital under "rare circumstances." The Catholic Health Corp. of Manitoba held a special board meeting the next day and added 10 new members to the hospital's board of directors, and then asked for a revote. Catholic Health Corp. became the sole member of St. Boniface hospital when its founders, the Grey Nuns, transferred power to the corporation in 2000. Since then, CEO Daniel Lussier said the corporation has had the authority to add members to the board. "That was one of our No. 1 jobs, is to ensure the values and principles, along with the boards we appoint, can help guide these organizations," said Lussier. "So one of our main ways of doing that is by appointing board members. So we can easily appoint board members, and in this case, that's what we chose to do, to be able to have another conversation around the exception, and make that we can move swiftly to ensure that there is no confusion about what St. Boniface Hospital's position would be on MAID." It was a clear move to reverse the new policy, according to a letter then-board chairman Murray Kilfoyle wrote to members of the board of directors on June 2, which was provided to CBC News. "CHCM is requesting the MAID policy be revisited at the June 12 meeting of the board, with the clear intent of modifying the policy so that there is an absolute prohibition on MAID with no exceptions," Kilfoyle wrote. In the same letter, Kilfoyle submitted his resignation, writing, "I see no way to reconcile my patient centric MAID views with those of CHCM and any ability to influence St. Boniface Hospital policy has been eliminated with the new board composition. "I will be unable to support a policy I believe allows for the undeniable reality of transfers of care that harm patients." The question around the hospital's policy on doctor-assisted death has been the subject of staff memos and letters, provided to CBC News, since the federal Liberals' assisted-dying bill became law in June 2016. The federal government amended the Criminal Code with Bill C-14 to allow doctors and nurse practitioners to help patients with "grievous and irremediable" illnesses to die. Manitoba introduced its own policy on medically assisted dying that same month, which includes a special team to assess the case and provide the death. St. Boniface Hospital said it would not offer the legal service to patients, but it would work with patients to facilitate a transfer. That's led to a lot of confusion with a March 1 memo to hospital staff that quoted St. Boniface chief nursing officer Wendy Rudnick, saying "our proposed approach sounded good in theory and doable. "The reality of executing on this process has been different." The memo explains that staff members are not sure what information they can give patients interested in assisted death and the difficulties of transferring them to other locations for an assessment from a specialized team. "With each experience we have been challenged in our commitment to providing compassionate, person-centred and effective palliative care," the memo said. "There are examples where our approach has resulted in increased burden for our patients and their families. These experiences have also caused considerable distress for our care providers, leadership and the MAID team." Lussier said the board requested to revisit the hospital's MAID policy to address the issue, which he said can be boiled down to patient transfers. "We decided we needed to move quickly and swiftly so that there wasn't any confusion in terms of St. Boniface Hospital's position when it came to MAID," he said. Rudnick's memo also includes examples such as a patient who died hours after arriving at an assessment site because they no longer had access to their specialized palliative care from St. Boniface Hospital. Another example explains how a Catholic family was traumatized in their experience of trying to get information and access to assisted dying prior to a family member's death. The new policy was also based on feedback from doctors and nurses. An April 2016 letter from Marcus Blouw, then-president of St. Boniface medical staff, included the results of an informal survey of staff showing majority support for assisted dying. In the letter, Blouw wrote only eight per cent of staff believed assisted dying has no place at St. Boniface Hospital. Forty per cent responded that conversations, counselling, information-sharing and assessments related to medically assisted dying must be available at the hospital. The majority of people, 52 per cent, said that assisted dying must be available to all Canadians in any institution that receives public funding, regardless of that institution's historical or religious affiliations. The hospital's president, Bruce Roe, said the survey showed staff want to be able to continue supporting patients. "Our current policy, which allows assessments, really does allow that continued relationship and continued support. We've addressed those concerns and concerns of many by this evolution of the policy," he said. "I regret that some physicians ... find that their views are in conflict with the hospital's, but the view of the hospitals is very clear, and … where we can go and what we can provide is also very clear." In his letter, Blouw also wrote that he was concerned people didn't feel safe emailing him with their answers. "A substantial number of individuals chose to respond by phone and explicitly stated that this choice reflected a fear of putting their opinions in writing," he wrote. "There appears to be real concerns around the potential to suffer professional or personal repercussions for voicing strong opinions on this polarizing topic." Blouw also wrote about the importance of fulfilling the hospital's mandate to "provide patient-centred care, not institution-[centred] care. "Any change in practice that [favours] the sentiments of the institution over and above the needs of the patient would not be consistent with the stated mission, vision and goals of the hospital, nor does it foster good patient-physician relationships." Individuals can opt out, but institutions? Recently retired Liberal senator James Cowan was part of the special parliamentary joint committee on assisted dying and is on the board of directors of Dying With Dignity, a non-profit organization committed to protecting end-of-life rights. He said while crafting the legislation, it was always important to be clear that any health-care professional with a conscientious, ethical or religious objection would be able to opt out of participating. "But I never felt that should extend to institutions," he said. "I didn't see how, particularly publicly funded institutions, could opt out of providing a service which is permitted by law like medical assistance in dying." By overturning the policy at St. Boniface Hospital, Cowan said Catholic Health is creating an unconstitutional barrier to access. "If we have institutions which either refuse to permit a medically necessary service to be provided on the premises or make it more difficult, then that makes access unequal amongst Canadians," he said. "That's not the way we provide universal health care in this country."